Conveniently scoop and distribute goods with this Rubbermaid FG288600CLR Bouncer® 64 oz. 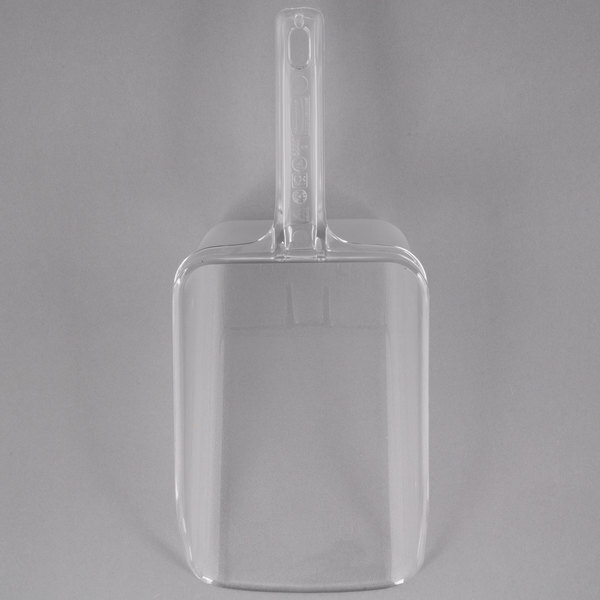 clear plastic utility scoop! 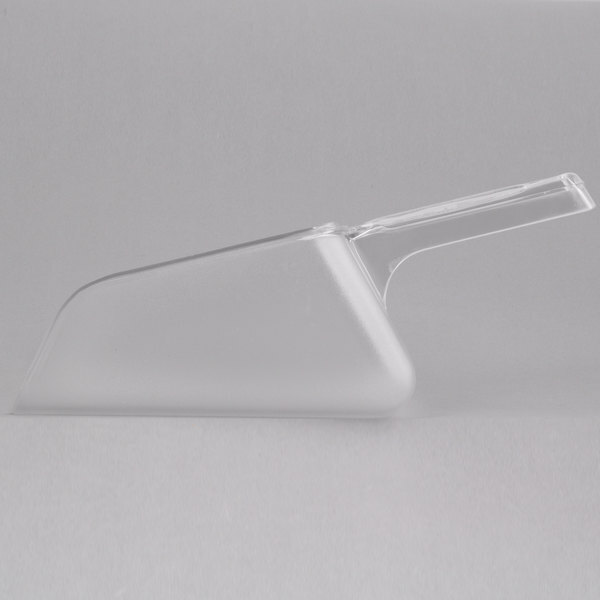 Made of break-resistant polycarbonate, this scoop provides ultimate chip, scratch, and break resistance to withstand the busy environment of your establishment. 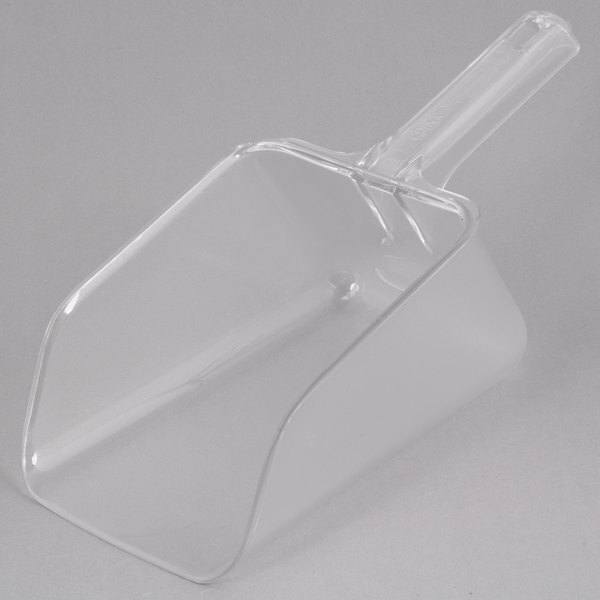 Thanks to its plastic construction, this scoop is lighter than metal and incredibly easy to use. 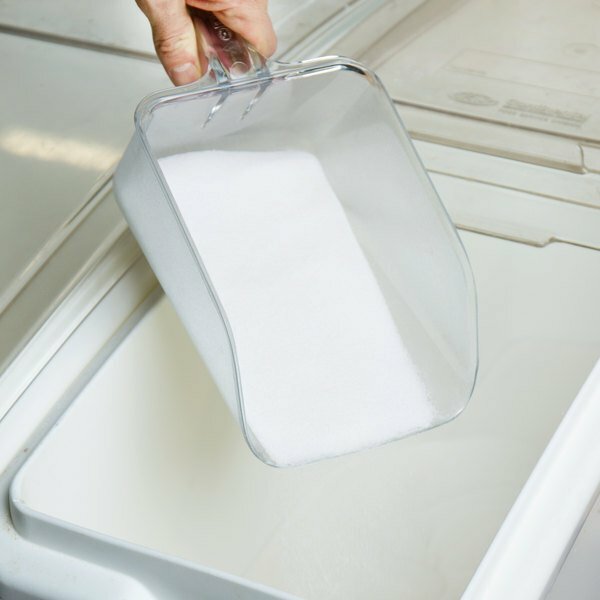 This versatile scoop is designed for optimal weight distribution, making it easy to scoop up ice behind the bar or bulk dry ingredients in your commercial kitchen. 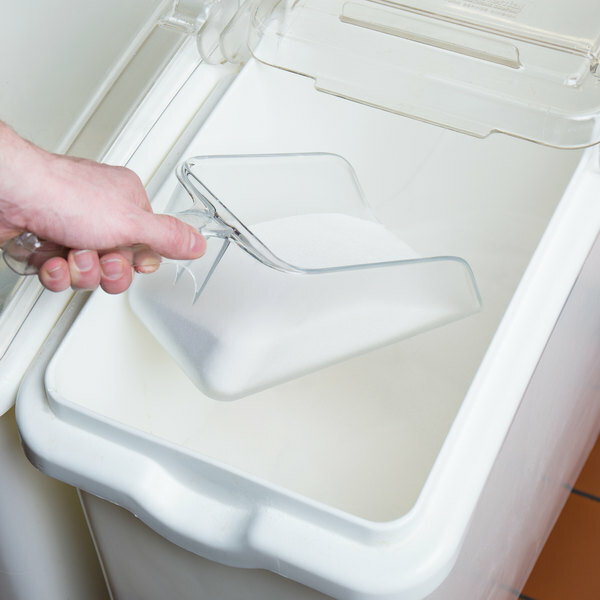 Thanks to this scoop's flat bottom, it is easier than ever to scoop ingredients from the bottom of bins and corners. 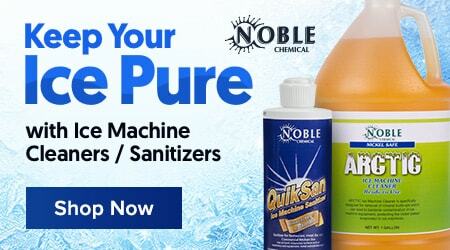 Its smooth surface is easy to clean, while the clear color provides complete visibility while scooping. Plus, this scoop features an easy-to-grip handle for optimal comfort. 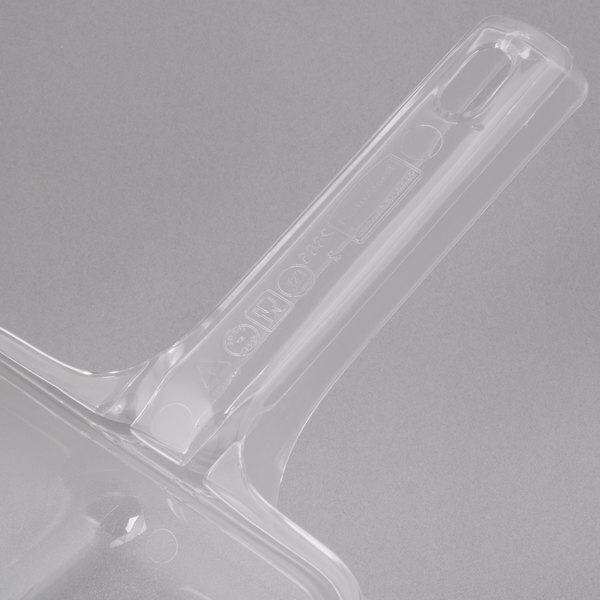 When it is not in use, it features a convenient hanging hole on the end of the handle for easy storage and retrieval, as well as to prevent contamination. 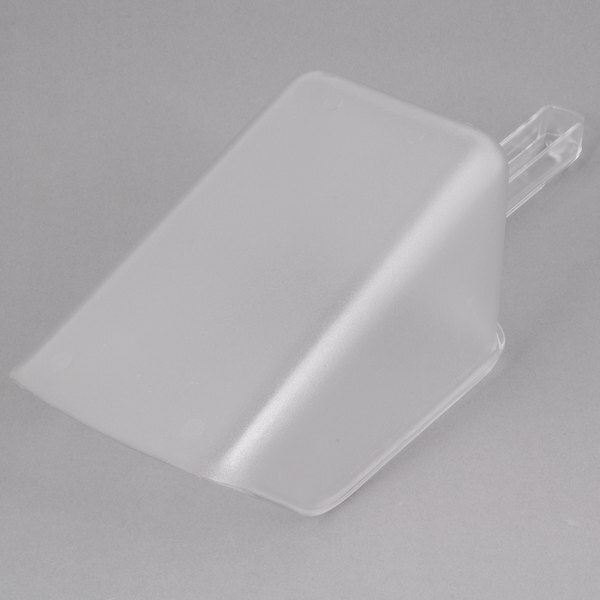 This scoop is made of FDA approved materials. It is good as it is! but it does not have any ridges on the side that you can actually make it fit the ingredient containers they manufacture. It was too big as well but still usable. This scoop is awesome. We use it to scoop up big portions of ice into our ice bucket. Anything smaller would take forever to fill our buckets.